APEX, N.C. -- Ruby Lair has been in the spotlight since before she was born. A video of Ruby's gender reveal went viral a year ago when her mother fell to the floor upon learning that, after six boys, she was finally expecting a girl. 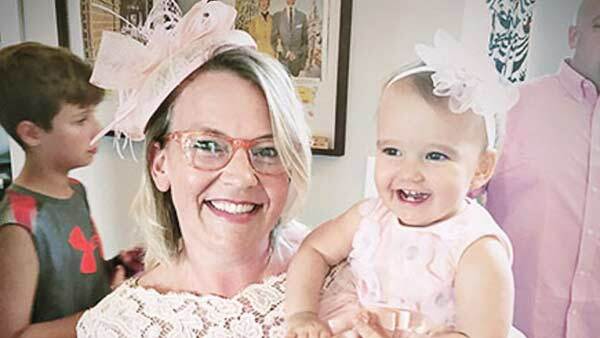 Now Ruby and her family are still making headlines after her girly, first birthday party had even brothers Jackson, 14, Campbell, 11, Sawyer, 8, Houston, 6, Shepherd, 5 and Knox, 3, tickled pink. "At night, they all hug and kiss her before bedtime. They'll arm wrestle over who gets Ruby. She will try to say something and, of course, they try to coach her on saying their names.'" Ruby was born Aug. 26, 2015 to Cher and Stephen Lair. 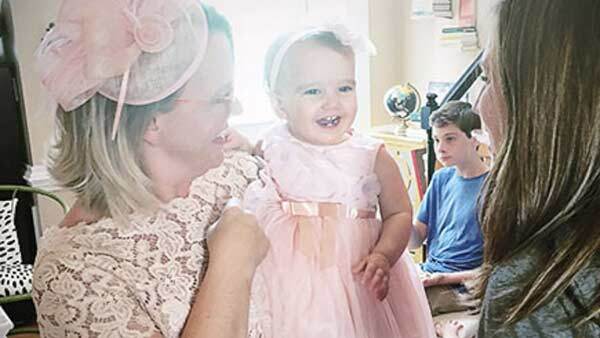 Last week, the parents of seven hosted a pink tea party for their daughter's 1st birthday. 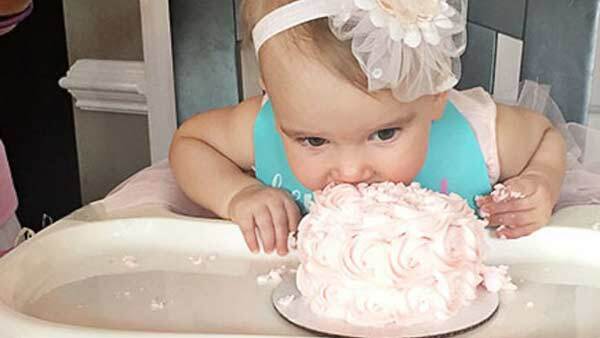 "We were a touch excessive, but we usually are for first birthday parties," Cher Lair said. "We had about 60 people here at our house. About half were kids and it was kind of nuts. We required everyone in my care to dress in pink. We were in pink for the 'Ruby girl.'" 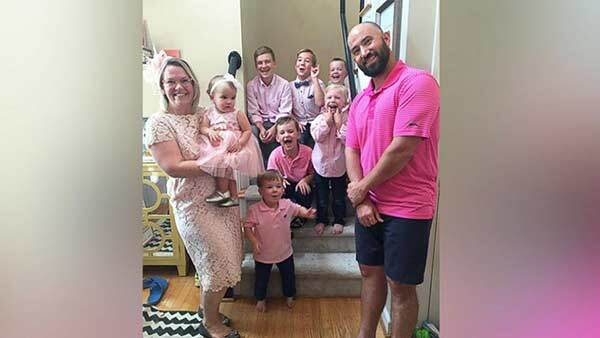 All six boys donned pink outfits for their little sister, and three of them bought Ruby birthday presents with their own money, their mom said. Using money from his lawn business, Ruby's big brother Campbell gifted his baby sister an antique music box with a twirling ballerina. Houston spent one $1 of his tooth fairy money on a pink coin purse, and Shepherd chose a pink bunny necklace from his treat box at church, rather than something for himself. As for Ruby's future dating life, Cher Lair said she's not too concerned about her daughter growing up with six big brothers. "The great hope is that she will be so secure in who she is as a treasured and loved sister that she'll set a high bar and choose wisely for herself," she said. "If there needs to be some intimidating brothers in the picture, I'm not mad at that. My husband's teaching them how to revere and respect women." Despite the beautiful chaos of parenting seven kids, Cher Lair said, there's "enough mommy to go around." "If there's jealousy," she added, "I'm not seeing it."